The Toyota Sienna has been in its third generation since 2010. 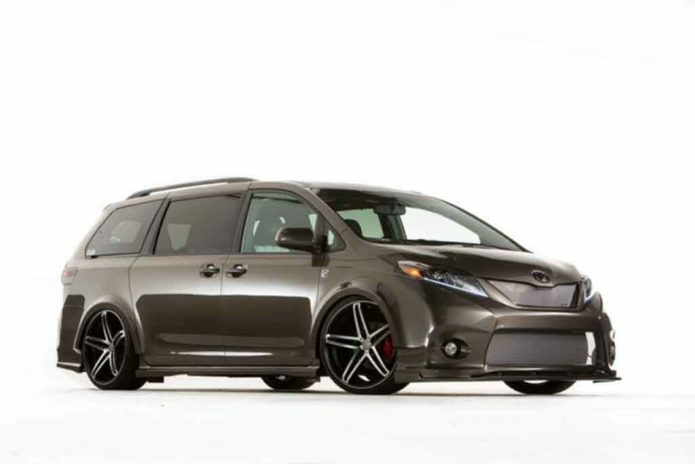 While models like the Honda Odyssey and Chrysler Pacifica have since been updated and gone through generational shifts, the Sienna has soldiered on with relatively mild updates. In 2017, Toyota did upgrade the 3.5-liter engine and dropped the six-speed automatic for an eight-speed unit, but otherwise, it’s been pretty much the same van all this time outside of some minor changes to the exterior in 2015. Well, Toyota is bringing a revamped Sienna to the 2017 New York Auto Show, but it’s not a new-gen model. Instead, Toyota is adding new “swagger” with a new front fascia, new side skirts, some noise and vibration enhancements, and some additional technology like extra USB ports, an updated rear entertainment system, and a semi-digital instrument cluster. But, don’t get it twisted. The Sienna may be pretty old, with the 2018 model year being the 8th year this generation is on the market, but it does pull its own weight as far as sales go. Sales have been well over the 100,000 mark from 2011 forward, with 2015 seeing 137,497 examples sold and 2016 accounting for 127,791 examples sold.